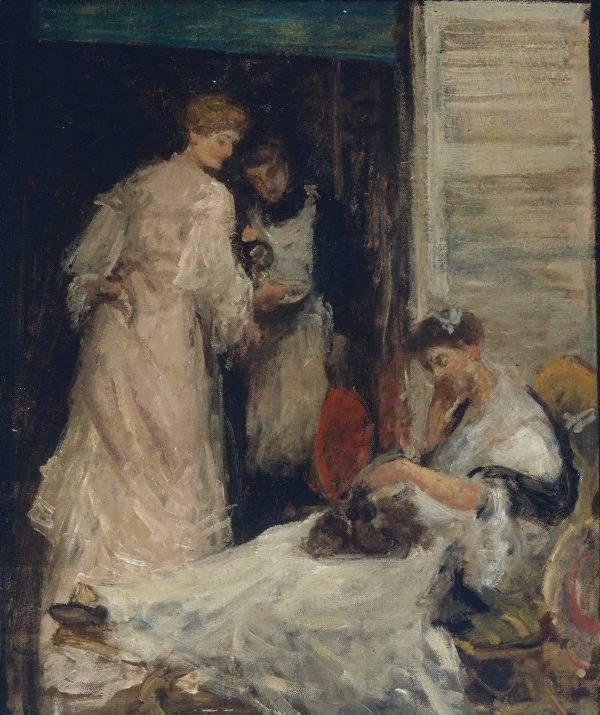 Study for "A summer morning"
Deborah Edwards, Look , 'The elusive Rupert Bunny: Looking ahead to a major AGNSW show', pg. 15, Sydney, Feb 2009, 15 (colour illus.). NOTE: Denise Mimmocchi is handing the painting in the sub-basement. Also in the photograph is Deborah Edwards, Caroline Geraghty and Anne Gerard. David Thomas, Art Gallery of New South Wales Quarterly , 'Rupert Bunny', pg. 550-575, Sydney, Oct 1970, 560 (illus. ).